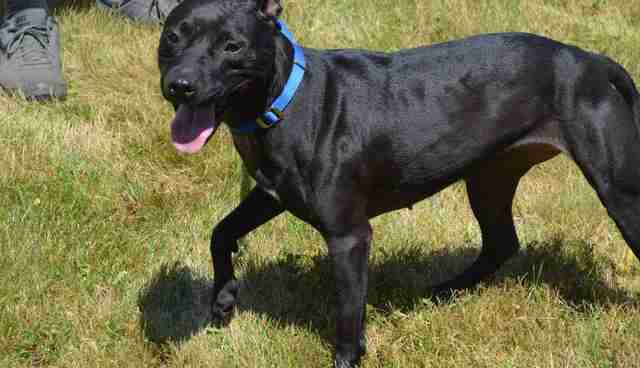 Sasha, a 4-year-old pit bull, keeps coming so close to finding her forever home only to have it taken away again. Sasha has never really known a home of her own. Taken in by Second Chance Rescue NYC, she struggled to find where she belonged for her first two years, until someone came along who everyone thought would be Sasha's savior. Two years ago, Sasha was adopted into what appeared to be a loving home. It seemed like the perfect happy ending - until the woman who adopted her began hoarding animals. 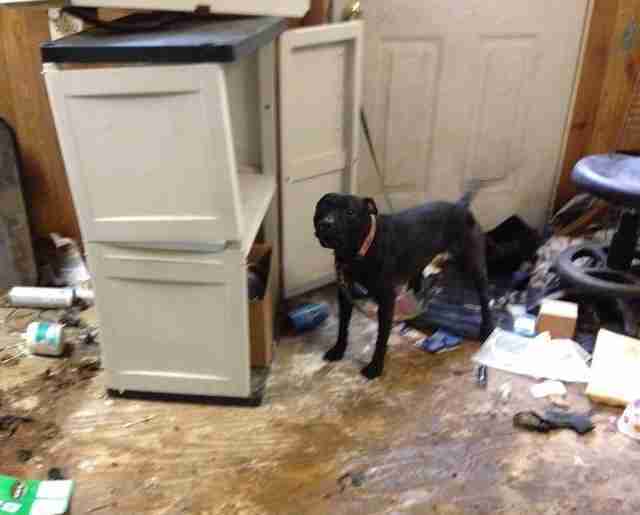 Sasha was rescued from the home, where 70 animals were being kept in horrible conditions. 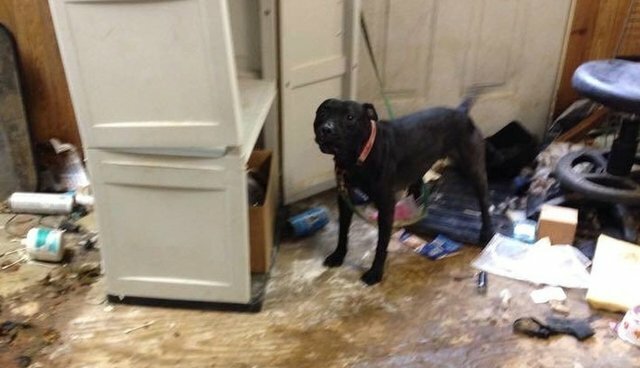 The woman has been charged on 21 counts, according to Second Chance Rescue. Sasha was found tied to a door in a dirty room, nervous as ever, still waiting for her happy forever. "She will need slow intros into any family environment as she was basically passed around for the first two years of her life and then we thought adopted and loved but the woman began to hoard a year later," Cecelia Blake of Second Chance Rescue told The Dodo. 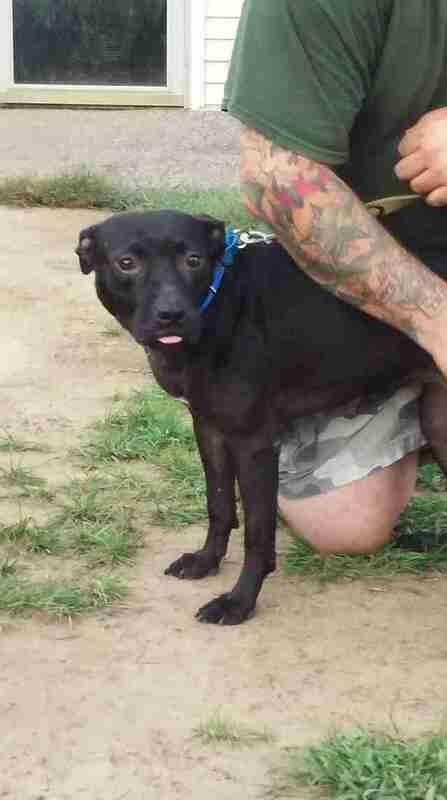 Due to her struggles, Sasha is a very anxious dog, but really just wants to be loved. 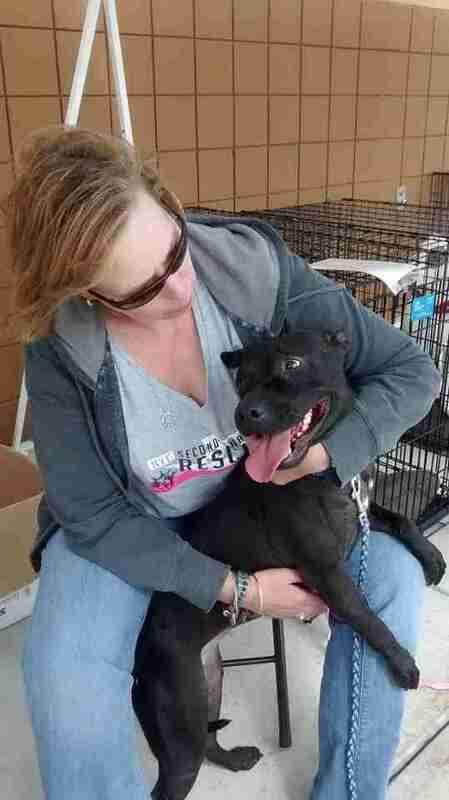 When she was adopted for the second time, she was returned four days later because her adopters didn't allow her time to get used to them, and didn't like the way she growled at them because she was scared. "She barks once and will growl when scared but she does not advance and has never bitten anyone," Blake said. "She is verbalizing the only way she knows how to tell you she is afraid in that moment." Sasha is very scared of men at first, but if given enough time and space to get to know them she absolutely has the ability to warm up. She is amazing with kids, dogs and cats, and would love a home where she can run and play the way she's always wanted to. "Sasha's requirements are simple: she needs an adopter who is willing to listen," Second Chance Rescue wrote on their Facebook page. If you might be interested in adopting Sasha, you can go to the Second Chance Rescue website to get started.